Long before ISO 12312-2, astronomers used hardened glass welding filter plates compliant with ANSI/ISEA specification Z87.1 to view the sun. These 2 inch by 4.25 inch uniform density glass plates are sold by welding equipment supply houses and industrial gas suppliers catering to the welding trade. These filter plates are inserted in the viewing ports of the typical welder’s face shield and come in ‘shade numbers’ from 1.5 to 14. The darkest, Shade 14, is fully adequate for protecting your eyes from the sun. A genuine ANSI/ISEA Z87.1-2015 welding filter plate will be indelibly marked in a corner with the letter “W” followed by its shade number (1.5 to 14). Often this marking will be preceded by “ANSI Z87.1”, but not always. Buy them from a real welding supply house and you can have confidence in their level of protection. ANSI/ISEA Z87.1-2015, Shade 14 welding filters are actually uncommon in the welding profession, and there has been a run on them with the approach of the eclipse. Retail prices normally run under $ 2.00 each, but there is quite a bit of price gouging going on right now. 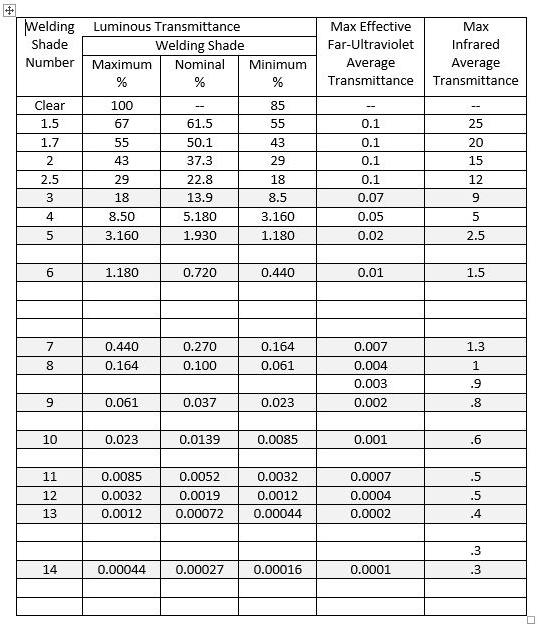 Some vendors have marked up their prices on Shade 14 filter plates by a factor of 10 or more. Shade 14’s are typically only used for very high energy welding, over 400 amps. There is a workaround here, though, using an old welder’s trick. You can stack two Shade 10 welding filter plates, or a Shade 12 and a Shade 8, together to produce light protection equivalent to a single Shade 14 welding filter. 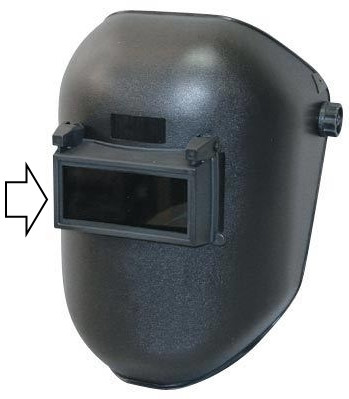 These shades are much more commonly used by welders and there appears to still be a good supply of them available at welding supply shops. No price gouging, either. Just assemble them together with a half inch strip of duct tape applied around their edges. Either combination produces a filter with light transmittance just less than a single Shade 14 filter. Doesn’t matter which filter plate you face towards the sun, works either way. There is still plenty of time before the eclipse and you can test your filter plate assembly on the full sun beforehand. Right outside the door of the welding equipment supplier, actually. The auto darkening, battery powered welding filters now used by many welders are expensive and usually max out around Shade 12. You could put a Shade 8 filter behind them (not in front! ), but this is tricky and not really practical. Most of the auto darkening filters only work properly in a specific face mask, too. Single shade filters are made in plastic, as well as hardened glass, but the plastic filters don’t work very well for high intensity light. Get the hardened glass filters if you can. 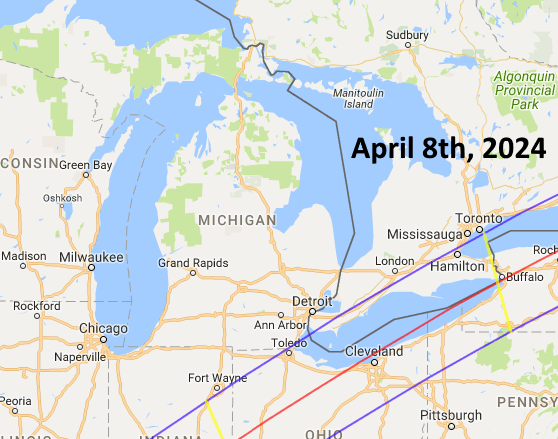 Should you miss the solar eclipse on 21 August, it will only be 2,422 days until the next solar eclipse on 08 April 2024. This eclipse will be even better in Michigan. A small portion of Monroe County will actually experience totality then. Think of Monday’s eclipse as a warm up! ← Radicals vs. republicans (and the radicals are winning by a long shot). RightMi.com does not encourage anyone to look at the sun for obvious reasons. But, that's where the fun is! Sorry, but I couldn't pass up using that line. 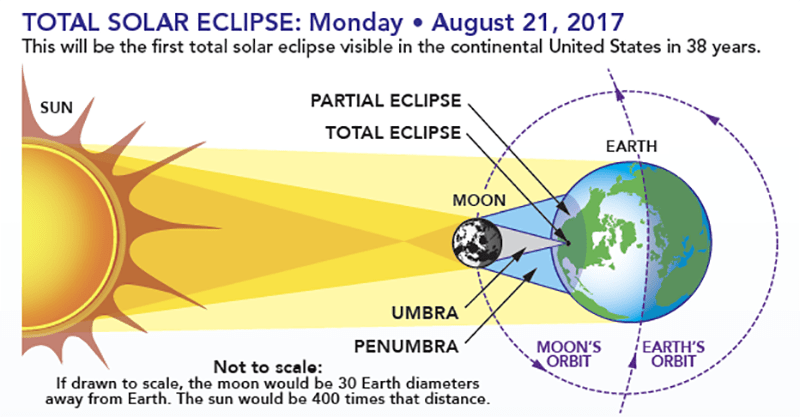 There are two cable channels showing the whole total eclipse starting at Noon as it moves around the Earth--or is it the Earth moving around the sun--or whatever--as for me--I'll be purchasing my Eclipse wear on Ebay, on the Tuesday to save the big bucks. Donald Trump’s future, astrologers say, is written in the stars, and they’re predicting Monday's total solar eclipse will have serious consequences for the 45th president and for the country. 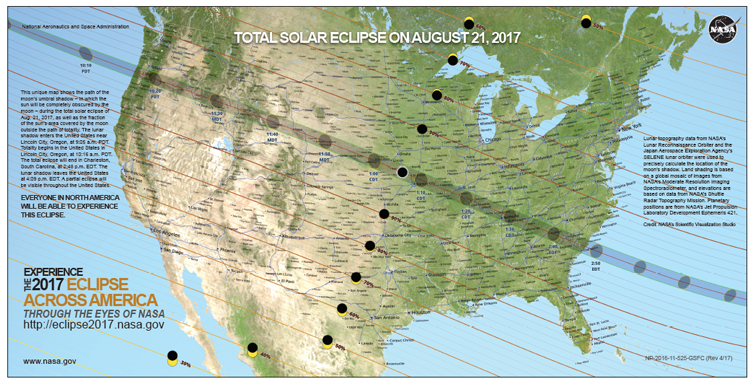 The movement of stars and planets have an impact on people, they say, and suggest that the Aug. 21 eclipse could be transformative for the nation and President Donald Trump. Fatties and effeminate beta manlets. What is the math for this. I only have two nines. You need to have shade 12 to 14 according to Nasa. What will two nines be? I used these two nines back in 1994 for eclipse viewing and it was fine but now I'm old an paranoid. Anyone know the math for this? Use this chart to figure out what stack of available plates gets you to the equivalent of Shade 14. The 'Luminous Transmittance' 'Welding Shade' 'Nominal %' values column (3rd from left) is what you want to use. You want Shade 12 protection at a minimum, Shade 13 protection is ideal, and Shade 14 protection is conservative. Multiple plates' cumulative transmittance are multiplicative. A Shade 8 + Shade 12 stack's transmittance is equal to 0.100 x 0.0019, or 0.00019. A Shade 9 + Shade 9 stack's transmittance is equal to 0.037 x 0.037, or 0.00137 (just slightly less than a Shade 12's 0.0019 transmittance). Would be comfortable using a double Shade 9 stack if the filter plates are glass, but would be hesitant if they are plastic. The typical UV and IR transmittances given in the right two columns are only good for glass filter plates. Plastic passes far more UV and IR light, which is not specified (limited) by ANSI/ISEA Z87.1-2015. You can get around this by taping the plastic filter plates to a piece of clear glass. You can extend this math to stacks of 3 or more plates, but optical distortion becomes a problem. But three is better than none.